The beginning was word and the word is a message of care for deserving ummah and our country. Datin Aisah Mahmud started charity activities when she was in college. 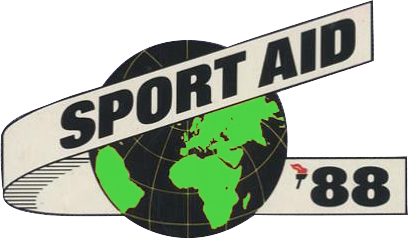 The scope of her charitable activities expended enormously when she was chosen by Sir Geldof, an International philanthropist to manage and chair “Sport Aid 88” for Malaysia. 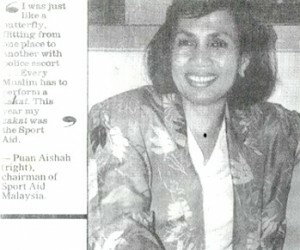 She was asked by UNICEF to see if she could extend help to the poor families in Bangladesh, Datin Aisah Mahmud and her young son Abdul Aziz bin Tan Sri Adenan aged 13, travelled to Bangladesh where she met and sponsored 5 families, but was unfortunately caught in the coup d’état, and were rescued out of Dhaka. 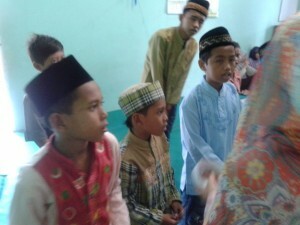 In Indonesia, Datin Aisah Mahmud was approached by Demak population to help build a school for young poor children. 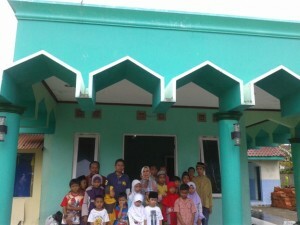 With help from her family members, Datin Aisah Mahmud raised fund to buy a piece of land and built a school for them. Now 106 young children from poor families have a place they can call their school.